Up until a few weeks ago, eighteen-year-old Lissa Anderson drank, smoked, and partied hard. She was trying to forget a tragedy. Now, though, she’s determined to be the straightest arrow at Rosebud, an elite summer program for classical musicians. A spooky old dormitory, overprivileged students, and hours at the piano make the program into everything Lissa expected. 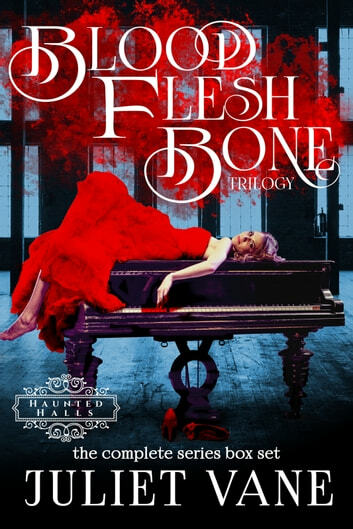 What she didn’t expect is her quickly-budding romance with a cellist, a series of thefts related to scary stories, or the ghost determined to get Lissa’s attention. If she’s willing to face her own skeletons, Lissa’s rebellious past might help her unlock the future. 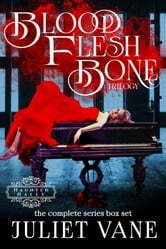 This box set includes all three books in the trilogy: June's Blood, July's Flesh, and August's Bones.